This is Part 2 of the interview and if New Year Resolution is in style right now, that’s what I ask the Project Manager's- What’s your New Year resolution? Anything related to project management? Are there any other PM’s out there who love planning and goal setting so much that they do it all through the year? 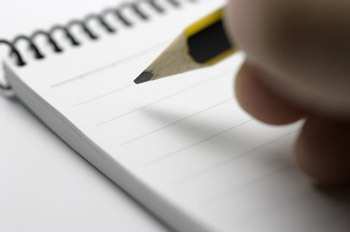 I actually couldn't wait for January 1 and revised my latest goals and objectives this past week. Don't want to give anything away - but let's just say that I can't wait to do some new things with my blog. In terms of project management, I'm excited to be part of the PMI New Media Council, and look forward to helping bring information both to and from Project Management International. Here's to a successful, happy and healthy 2010 to you Soma, and all your readers. In 2010 I will start active virtual mentoring and coaching. In the last 20 years I have had the same new year's resolution every single year. 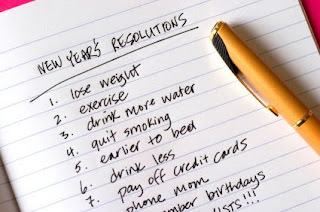 It is "I will not make any new year's resolutions.". I have a 20 year record of successfully completing this resolution. Finish the jumper I am knitting. I say this every year, but be better at managing risks and issues. They should be active documents, not just a worksheet in a spreadsheet! I think my New Year's resolution will center around balance. I tend to schedule/accept too many meeting invitations in a day. This, in turn, leads to less time available to reflect on what was discussed and follow up on actions promised during each meeting. This is how project managers end up in the office late in the evening. Blocking time during the day so that you can reflect/plan/follow up is crucial to having time left for yourself at the end of each day. There was recently a #2010 hastag on twitter and my new year resolution is this: in 2010, I’ll strive to help more people than I did this year. 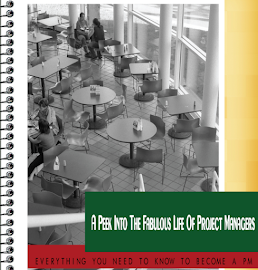 I will be putting out more training material and lots of articles to help new and aspiring project managers reach their career goals. My own NY resolution related to project management is based around PMO (Programme Management Office), I’m a member of a voluntary group called PPSOSIG (Programme and Project Support Office Specialist Interest Group http://www.ppsosig.co.uk/) and we’ve been putting on conferences for the last 9 years in the UK. We’ve been holding two conferences a year and in 2010 I want to expand what we do so we can engage even more PMO professionals. I don't do New Year resolutions. Actually every other date is as good as New Year to set the plan and start following it. My recent one is to engage local student community with a series of workshops focused on best engineering practices. This is something I missed when I was a student - there wasn't enough focus put on teaching methods which help to build high-quality software on time. It ends up people not learning how software is developed in real life until they start their first job. I wish they were entering job market equipped a bit better. My New Year resolution, related to project management, is to enroll in and complete a meditation class. I want to learn how to use meditation to manage stress better. I have a major project coming up next year and I need all the help I can get. I could not implement or complete many of previous year’s resolutions – mainly related to acquiring some more academic qualifications and formal learning. However professionally it was a “happening” year with some interesting projects. I don’t really have any bad habits to quit. How ever I am looking forward to upgrade my skills in management and technical aspects. 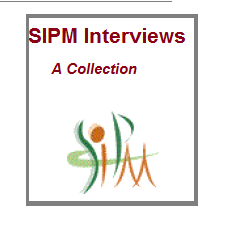 To read Part 1 of the interview and detailed bio of the interviewed Project Manager's click here. Soma - a very good 2009 round up indeed. An excellent 2 part post. Knowing more about our fellow bloggers, what motivates them, their opinions, their plan for... is very interesting and inspiring. I wish you all the best in 2010 and hope you continue writing. 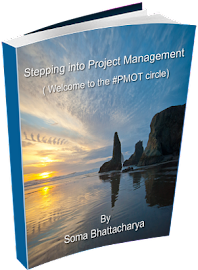 A day will come when www.steppingintopm.com will become a single stop blog for new PMs-to-be to learn and tone their skills. @ Raj- You are very kind, thank you for the wonderful comment. It made my day!